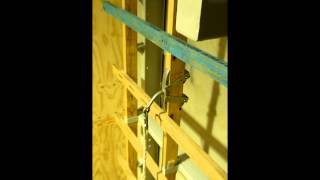 This video shows Truss-T-Grip being loaded in the most critical position - sideways. It is clear that no timber rafter can actually withstand the force but with a bit of cleaver engineering it can be done. 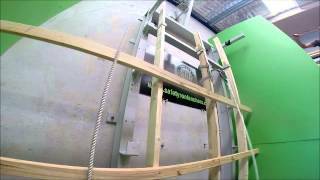 In this is pre 2013 video we have tested our Truss-T-Grip anchor point on a 95x45mm structural pine member. There were no official guidelines at the time regarding the height of the drop so we went all out and tested our anchor in a fall factor 2 scenario. That is a FOUR METRE DROP compared to the prescribed 2m drop required in AS5532:2013 which came out approximately 1 year later. It is a testament to our own testing standards, we’d like to think.. 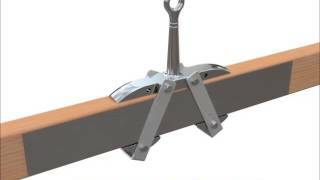 In this video we have tested our Truss-T-Grip anchor point on a 90x35mm structural pine member. We have reduced the drop height compared to the first video as the AS 5532 requires only a factor 1 fall, however we have also reduced the size of the rafter.